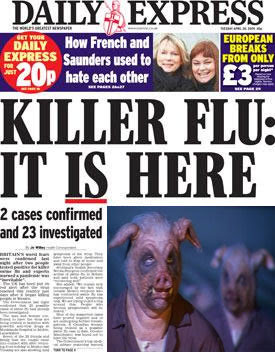 So Swine Flu has been in the news a bit lately, have you noticed? There are some ominous signs out there that this new strain of H1N1 virus may become responsible for a horrible unstoppable global pandemic--the stuff of history books and horror movies. None of the experts, as of this writing, claim to know what the deal is yet. It's too early, and flu viruses are unpredictable. A helpful quote to keep in mind: "If you've seen one flu pandemic, you've seen one flu pandemic." So it's natural to wonder: is all this hoopla in the media really justified? Should we all be worried about catching and/or dying from Swine Flu? The short answer: Yep, it's definitely time to panic! Why now, when there's still so much we don't know? Well, here are Five Good Reasons to start seriously Freaking Out about Swine Flu. 1. Flu Pandemic News: It's A Great Break From Lolcats. 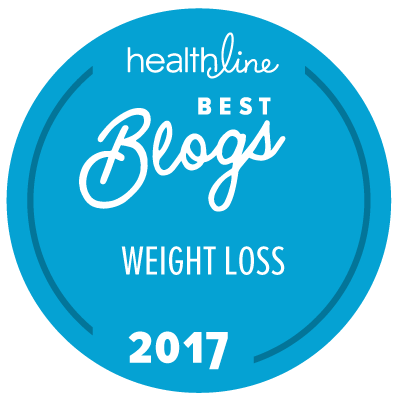 If you're online and trying to avoid doing actual constructive work, there are only so many times a day you can visit your favorite blogs and sites without starting to get a little bored. But now with the swine flu outbreak, you just have to work up enough anxiety so that you Need to Know Every Breaking Development. Voila! You have something new and scary and morbidly fascinating to click on every few minutes. Because at least for the moment, the disease is spreading, so you can fuel your sense of fear and dread and horrified curiosity every time new cases are discovered. You can find maps, read first-hand accounts, and analyze the political and economic implications of the outbreak. You can choose from a large variety of experts either making dire predictions or offering calm reassurance, whichever spin you prefer. Those of you who can't work up enough worry to care? Sorry, time to go back to your cute kitteh pictures. 2. Washing Your Hands Is A Good Idea Anyway! The more worried you are about catching something potentially deadly, the more likely you are to pay better attention to those Health Experts recommendations about frequent hand washing. As well as those lectures about not touching your face or rubbing your eyes or brushing itchy strands of hair off your forehead unless you've just washed your hands. So even if it turns out there's no epidemic after all, a nice sense of panic will make you much less likely to catch some other unpleasant but less notorious bug than could still make you really miserable. Most things people get really worked up about are either too personal to share with casual coworkers (the painful details of your divorce, for example), or they're controversial and might cause disagreement (your feelings about corporate bailouts or legalizing drugs or universal health care or whatever). However, very few people are in favor of massive illness and death. You can pretty much assume that it's safe to share your worries if you have them and no one's going to get offended. And if things do get worse? Oddly enough, people who are scared for their lives often pull together and act much more reasonably and generously than they do in ordinary times! So keep this simple trick in mind if any of the people you have to deal with on a daily basis are irritating asshats: just whip up a little frenzied fear that a scary awful bug is going to sweep through your office and strike random victims... it could make even the most obnoxious coworker seem suddenly way less annoying! Once the danger is over, you can tell funny stories about the case loads of face masks and hand sanitizer you stashed in your basement during the Great Swine Flu Scare of 2009. Anxious types who have, in the past, done things like stockpiled duct tape and garbage bags and iodine pills in the aftermath of 9-11, or who hoarded canned goods and cash for when all the world's computers were going to crash in the beginning of the new millennium... well, these folks always tell the best humorous anecdotes at parties. The cheerfully neurotic raconteurs are always more fun to listen to than the smug "I knew from the beginning there was nothing to worry about" types. In which case you will have gotten your panicking done way ahead of schedule, and will be all exhausted and unsurprised and relatively calm while those who didn't think it was going to be a big deal will be freshly reeling. But What If Panic Just Isn't Your Thing? I suppose you could just console yourself with the fact that (1) it's probably still really unlikely that anything bad will happen to you personally; and (2) other than take sensible precautions, there's not a lot you can do to stop the spread of swine flu, properly panicked or not. So if you'd rather leave the freaking out to people who actually enjoy it, I suppose being all calm and collected is probably OK too... Ya Big 'Ol Party Poopers. What about you folks, worried about swine flu yet? LOL.. i love this. i'd also like to add that it made great conversation between strangers at kickboxing last night! Eh I'm not really concerned about it either, I mean so what if I'm walking around in a hazmat suit they can be fashionable. No seriously, I'm not that concerned, maybe I should be, but I'm really not. Hmmmmm Bird Flu, SARS, and West Nile Virus were all panic driven news stories of a pandemic about to annihilate the world. Keeping things in perspective there were more people killed by lightning strikes in the US last year than deaths by all of the above disease combined. Welcome to the world of 24 hour news reporting. I guess I'll fall into the category of those people who are all shocked and panicking when an actual pandemic occurs. I'm finding it hard to panic over something called 'Swine Flu'. Not sure if it's the name or just the fact that it's a flu...I guess I tend to think that in this part of the world, getting the flu is not that big a deal for most people. Certainly not pleasant but most of the time not fatal. The one thing that always gets me is why do people have to be told to wash their hands? Eww. Just ewww. I like that the pigmen in the top picture are from a Dr. Who episode. Made me smile. Also, I agree with Leah--we have to be told to wash our hands?? I'm honestly just not sure what there is to panic about. It seems like beyond stuff you should be doing anyway, there's not much else that'll prevent you from getting it. You forgot "Great source of awkward moments." Yesterday I was at the doctor's getting my blood drawn and I complimented the phlebotomist on her bracelet. "Thanks," she chirped, "I just got back from Mexico!" *awkward moment* We didn't speak for the rest of the time. I'm in the camp of "thousands of people die from the flu each year. Why is it suddenly an epidemic?" I'm just not worried. I have other things to worry about like people putting on their makeup while driving. I've seen it done. Now that's a concern! But something you wrote made me envious. Do other people really have colleagues who think certain things are "too personal to share with casual coworkers?" Just wondering. Because I agree: I'd much rather fret about swine flu than have to picture that infected boil that makes sitting down so descriptively painful for my coworker. Bag Lady, "Is "mediademic" a word?" Except for the days that I am. But just like everything else that's amiss in my life- I blame pregnancy. p.p.s Reading these comments has certainly made me feel much better though. Heh, great post. I've been amusing myself watching the "panic" develop, as the panic seems to be far more contagious than the actual disease! Panicking takes too much energy. I'll just rest up and try to cherish my immune system. I'm with everyone else here. I don't really see a need to panic. I'm actually flying to NM at the end of the month ( which is awfully close to Mexico ) and my biggest concern is, I hope the flight doesn't get canceled because too many passengers freak out and don't want to go. Someone pointed this out to me earlier and I thought I'd share. Let everyone have their panic that makes them fear eating pork (even though it's not related!) because the price of pork will drop! hah. Bonus. See, my preferred type of panic involves the masses going to Michigan Torch and Pitchfork to overreact to an event and threaten someone with a huge angry crowd bearing, predictably, torches and pitchforks. A pandemic doesn't seem the place for that somehow. Does anybody else remember... way back when... late 70s or early 80s... there was a big kerfuffle about needing to get a Swine Flu vaccine. People trooped out and got the vaccination and then... nothing happened? I remember a lot of people being upset that no one actually got sick after all that. Or am I hallucinating? Please somebody else remember that kerfuffle. I panic in all sorts of other lovely ways. I can't possibly panic about this too. I do, however, reserve the right to panic about it later...like if anyone I know passes away from it or it reaches my area. Of course, his fever is all of 99 degrees, and he feels pretty good other than being a little warm and tired. BTW, have the killer bees arrived yet? P.S., also the the LOLkitty pic! Panic is generally not my thing, but if you think it will help, I am willing to panic along with everyone else. I'm more of a wash my hands and try and stay healthy person. This strain of the flu doesn't seem particularly virulent, so I'm not too worried. If anything it seems to be less lethal than a lot of more common strains out here already...altho we have no immunity to it yet as a species. I think we need things like this every once in a while to remind people that we are not the all powerful keepers of the earth...other critters on the planet do quite well here too, and sometimes they like to make US their home. I am one town away from an outbreak in Scotland, so it feels a bit too close to home now. As an asthmatic, I do panic about any flu outbreaks, lol! Oh - and to top it all, someone told me that Winnie the Pooh and Eyeore are getting Piglet put to sleep. Now I AM worried. Wait, I'm supposed to wash my hands? I thought Obama changed the name of the flu to the Carnitas flu. I'm a big time panicker. I have died many deaths from fear and panic while panicking. It's fun. You should try it. It will save you from dying of this nasty, horrible flu. I'm going to start hoarding water and gasoline as soon as I stop panicking. On the other hand the population does need to be thinned a bit. I am a true believer that I will die when I am supposed to from whatever is supposed to kill me and there is nothing that I can do to stop it. I am not in a panic but I am concerned about how fast it is spreading to many countries. I just try to follow the basic rules of washing my hands & I also wipe the benches & cardio machines down at the gym before I use them & I have my towel to put on them of course. I do think we need to be aware for sure. I'm not a panic sort of person at all, so I'd be boring at parties, lol. ;) Love the "Flu Kitteh." Just gonna keep practicing sensible precautions and good hygiene and hope for the best. When media starts commenting obsessively over Michelle Obama's fashionable face mask, then I'll panic. Not about the flu pandemic, but because our media has totally lost it. totally worried here. My 7 yr old came home with his first headache ever yesterday and I freaked out. I'm drilling handwashing into their little heads and doing a little more praying these days. I'm all for the "bonding" over the issue. Not in panic mode yet on the whole swine flu thing. I try not to get freaked out until there is a reason to be. But LOLcats are a worthy pastime under any circumstances. I had a friend a long time ago whose mom was paraplegic because of a Swine Flu shot. Sometimes panic can cause us to seek "cures" that are more problematic to us than the disease we're panicking about. It would be more appropriate to "panic" about getting hit by a car, or falling of a ladder. I love this post. I'm not going to panic. I'm just concerned. Could having mono increases your chances of getting the swine flu? I love the kitteh drinking soda picture. It's funny. Anyway, I'm not going to panic unless my friends or family get it. I don't think I'll really panic though. I think my concern will just increase. I am not letting it disrupt my life. And I don't feel any need to panic. It's business as usual. If this were something that actually deserved a massive freaking-out, the media wouldn't need to sensationalize. When people are talking calmly and seriously about staying home from work and wearing facemasks, then I will worry. I may be young, but I remember the Y2K scare in which the media was saying that airplanes were going to fall out of the air and all electronics were going to fizzle and die just because they had computers in them. You weren't imagining things, Merry. I remember it well. SARS was supposed to wipe us out too. I'm not panicking but I am respectful of its potential. Please pass the soap. My three-yr-old has a major heart malformation and is therefore at high risk should this this go ballistic and/or he's exposed. I'm watching carefully. I am trying to keep panic down to a minimum. The thing that makes me really sort of jumpy, though? Anyone else living in NYC feel like New Yorkers seem nicer -- like when we had the big blackout? That makes me nervous; it never seems like the city is nice en masse unless we're in the midst of some disaster. Oh, well -- maybe it's just the recession. Always do what Merry and Crabby say and wash your hands. YES, SOME PEOPLE NEED TO BE TOLD TO WASH THEIR HANDS!!! I've been training my better half for almost 7 years now, and still I have to grab communal food back and say WOULD YOU WASH PLEASE?! OTHER PEOPLE EAT THIS TOO!!! It's getting better though, about 60/40 now. We actually did have West Nile about 4 years ago, we were in the middle of a hot bed of it, birds literally falling out of the sky. I had a "bug" that gave me a migraine from hell (I don't get migraines), a fever, fatigue so bad I'd try to get up and get about 5 feet and have to go back and lie down again or fall down, and no appetite. lasted about 3 days. then better half got it a few weeks later (also after several unusually big nasty mosquito bites) and slept for 3 days, same symptoms. The virus could range from not knowing you'd had it to encephalitis or was in meningitis? = brain inflamation and hospitalization. The medical community said that a lot of people had had the virus and didn't know it. We figured it out after the fact. It was unlike anything else we'd ever had. Flu was most similar but this was not flu. LOVED the flu kitteh, best laugh of the week! Not panicking yet though. I'm mostly resigned, figuring sure, plague is just the next thing on the list. We've got about a dozen cases here in New Zealand with a hundred or so in quarantine as a precaution. It seems to be a very mild version we're getting. I'm just amazed at how many school trips we had over in Mexico at this time! No one ever took me to Mexico when I was a kid!